NETWORK OF WASHIM BY PEOPLE LIVING WITH HIV AIDS is located in Washim Maharashtra . NETWORK OF WASHIM BY PEOPLE LIVING WITH HIV AIDS is registered as a Society at Akola of state Maharashtra with Ngo unique registration ID 'MH/2009/0010850' . 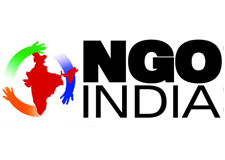 The NGO registration is done by Charity Commissioner with registration number F-11365/Akola on the date of 15-02-2007, Its parent ORganaisation is INDIAN NETWORKING PEOPLE LIVING WITH HIV AIDS. The Chairman of NETWORK OF WASHIM BY PEOPLE LIVING WITH HIV AIDS is Ashok Vishvasrao Deshmukh and Chief functionary officer is Ashok Vishvasrao Deshmukh. Promoters are Sanjay Haribhau Bhasme, Sunita Nandu Chavan, Rajani Santosh Raut,Chitra Anand Khade. Awairness in more thab 15000 people About HIV AIDS by counsling , referal, street play , rally etc.